This cleansing water is specially developed for sensitive and mixed skin and removes impurities, make-up and sebum in just one movement! 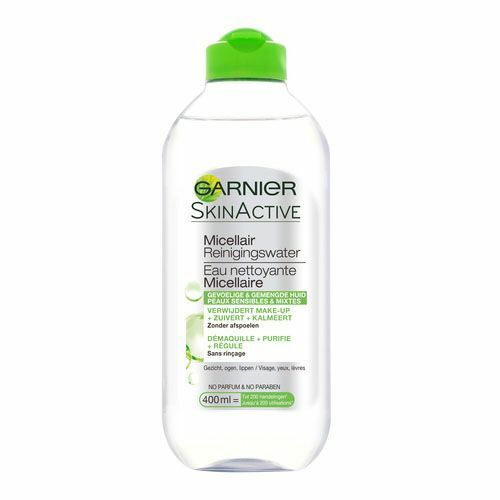 Garnier Skincare SkinActive Micellar Cleansing Water Comb To Sens Skin is a cleansing water specially developed for sensitive and mixed skin. 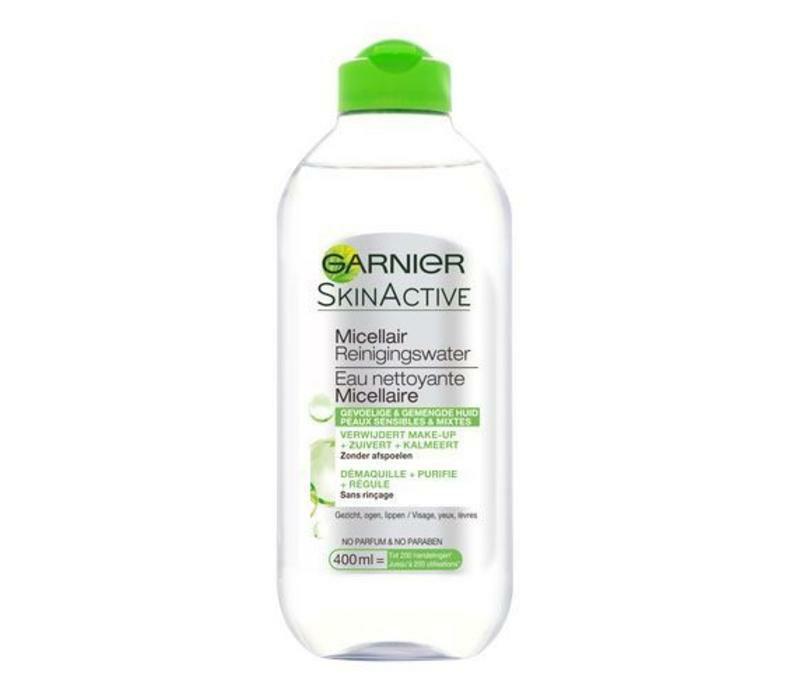 This cleansing water is enriched with micelles, which attract impurities, make-up and sebum as magnets. You can clean your skin in one movement without rubbing hard! We want that, don't we?! Cleans your skin in just one movement. Impurities, make up and sebum are removed effortlessly. Easily and quickly enjoy a purified skin. Suitable for sensitive and mixed skin. Take two cotton pads and put cleaning water on them. Start by cleaning your eyes. Remove your make up by moving over your eyelashes from bottom to top. Rub gently towards your outer eyecorners. Repeat until your eyelids and lashes are cleaned. Then rub gently over your entire face. Tip ! : Clean your skin both in the morning and in the evening for the best results! Aqua / Water, Hexylene Glycol, Glycerin, Alcohol Denat., Disodium Cocoamphodiacetate, Disodium Edta, Myrtrimonium Bromide, Poloxamer 184 (Fil B187163 / 0).